The Glenrothes 1992 Vintage, 2nd Edition Launches in L.A.
For single malt Scotch aficionados, it’s been far too long since the legendary Ronnie Cox last hosted a whisky tasting in Los Angeles. 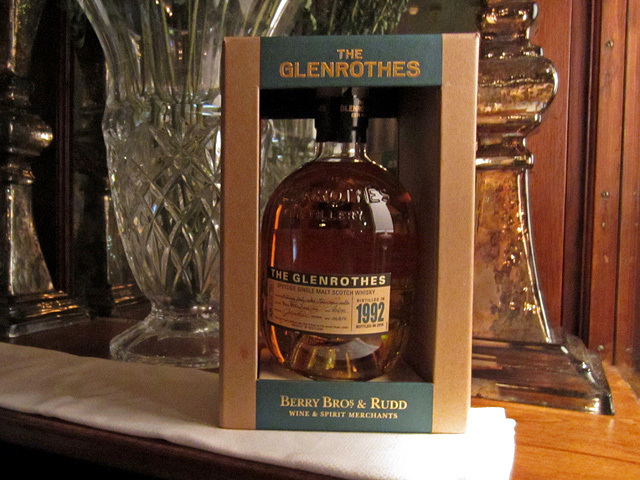 In 2012, he presented a music-themed tasting of The Glenrothes at The Parish, which culminated with the spectacular 1978 vintage. Cox, the Global Heritage Director of Berry Bros. & Rudd, was back in L.A. recently to celebrate the launch of The Glenrothes 1992 Vintage Single Malt Whisky, 2nd Edition. The first 1992 vintage was released in 2004. At that time, Glenrothes Malt Master John Ramsay selected the casks he felt were at their peak, but left some casks to continue aging. Ten years later, under current Malt Master Gordon Motion’s watchful eye, the second edition of the 1992 vintage launched to the public in October 2014. The tasting took place at Faith & Flower, recently named by Esquire as one of the 2014 Best New Restaurants in America. 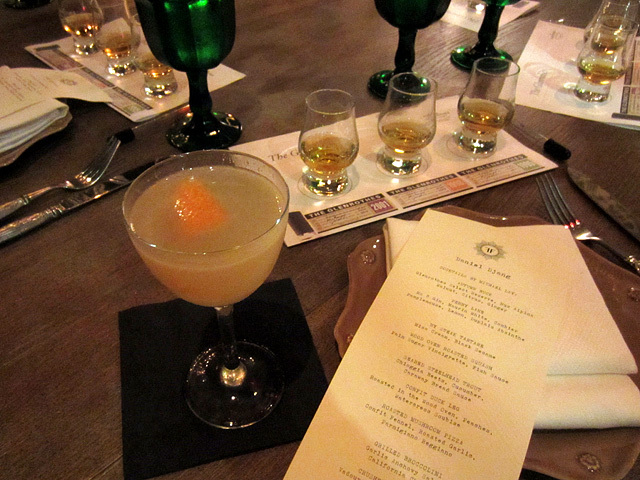 The vertical tasting featured The Glenrothes 2001, 1998 and 1995 vintages. The highlight of the event was a dram from the second bottle of the 1992 Vintage, 2nd Edition to be opened in the world. Guests were welcomed with a pair of cocktails from Faith & Flower head bartender Michael Lay. The consensus favorite of the two was the excellent Penny Lane: No. 3 London Dry Gin, Maurin White Vermouth, Combier Crème de Pamplemousse Rose, lemon and Absinthe Duplais. Lay’s other offering was the Autumn Buck, made with Glenrothes Select Reserve, Nux Alpina Walnut Liqueur, citrus and ginger. The whisky was paired with multiple courses of chef Michael Hung’s Asian-inflected cuisine, including New York steak tartare with miso cream and black sesame; confit duck leg with peaches and watercress soubise; seared steelhead trout with chioggia beets, cucumber, and caraway bread sauce; and grilled broccolini with garlic anchovy salsa and California chilies. Pastry chef Indelisa Zarate concluded the tasting in style with an array of mignardises – chocolates, passion fruit marshmallow, honeycomb candy, petite madeline, almond biscotti and chocolate truffle. The vertical tasting began with the Vintage 2001, bottled in 2012 and described by Cox as “complex integrity in a glass.” On the nose there’s lemon zest, butterscotch and vanilla. The vanilla continues on the palate, as well as oak, nutmeg and cinnamon. The finish offers the Speyside distillery’s signature soft spices – sweet and dry, lingering vanilla and oak, with a hint of orange peel. Next was the 1998, the Core Vintage that followed the 1991 and 1994 vintages. Bottled in 2009, the Vintage 1998 is Gordon Motion’s first bottling as Malt Master – he describes the 1998 as “Carmen Miranda’s hat in a bottle.” Indeed, the sweet and spicy nose showcases vanilla, honey and grilled pineapple. More vanilla on the palate, with Christmas spices and citrus. The finish is long, with notes of vanilla, nutmeg and a hint of marmalade. And then it was time for a climactic dram of The Glenrothes 1992 Vintage, 2nd Edition. As mentioned above, the second edition is aged 10 years longer than its predecessor. The 1992 Vintage, 2nd Edition is non-chill filtered and aged in a mixture of refilled sherry butts and American ex-bourbon hogsheads. The new expression is bottled at 44.3% ABV, compared to 43% for the three Core Vintages that were also sampled. The additional decade of aging has imparted a rich depth of character to the second edition. Vanilla, dark coffee and chocolate on the nose hint at the velvety mouthfeel to follow. On the palate, an elevated Glenrothes profile of rich vanilla and intense spice is accompanied by molasses, honey and orange peel. The lingering finish has a long fade, with more vanilla, citrus and milk chocolate. A few drops of water opens it up with hints of banana and other tropical fruit. 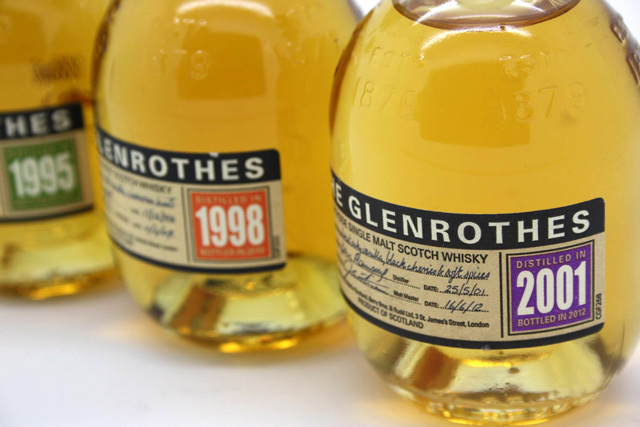 The Glenrothes 1992 Vintage, 2nd Edition is a superb whisky, the epitome of the thoughtful, “conversational” single malt Scotch that Cox so eloquently described to his guests. Priced at $249.99, The Glenrothes 1992 Vintage, 2nd Edition is now available in the U.S. via Anchor Distilling Company. 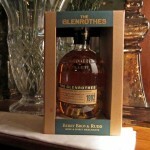 For more information, visit www.glenrothes.com.